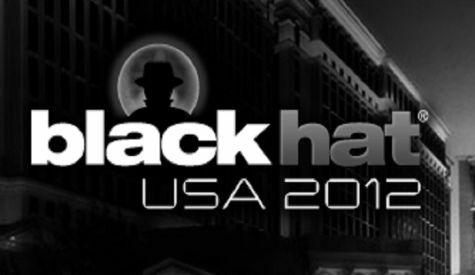 SAN JOSE – Security experts will show vulnerabilities in everything from ARM processors to x86 CPUs and even hotel locks at the annual Black Hat conference in Las Vegas this week. A handful of sessions will detail security holes in broad sets of embedded systems as well as mainstream systems software including Apple’s iOS, HTML 5 and Microsoft’s as yet unreleased Windows 8. Two independent security consultants will give a class called “Advanced ARM exploitation,” part of a broader five-day private class the duo developed. In a sold-out session, they will detail hardware hacks of multiple ARM platforms running Linux, some described on a separate blog posting. The two software specialists got their start in hardware security work recently teaching coursesin how to compromise popular embedded interfaces such as I2C and SPI. They also detailed a security flaw in a popular Broadcom cable modem chip. Intel’s x86 chips are also a target at Black Hat. A security researcher from France will show Rakshasa, a piece of malware he claims can open a “back door” on x86 processors used on more than a hundred PC motherboards. In another talk, Charlie Miller, a principal research consultant at Accuvant Labs, will show ways to spoof near-field communications now being designed into many smartphones. Miller will describe ways hackers can “completely take over control of the phone via NFC, including stealing photos, contacts, even sending text messages and making phone calls,” according to Black Hat proceedings. Another security specialist will show “an experimental protocol developed to extract part of the code that runs on an embedded system” using an analysis of its power consumption. Yann Allain, founder and current director of Opale Security, will describe techniques for studying the electrical current used by an embedded system during the execution of a program to determine a sequence of opcodes and data the device uses without gaining physical access to the device. A separate talk will show a console called FRAK for reverse engineering firmware on a HP LaserJet printer, a Cisco IP phone or router using Cisco’s IOS software. The tool enables the “disassembly, manipulation and re-assembly of [firmware] binary images,” according to the session description. One talk will try to shock attendees by describing flaws in Onity locks used in as many as half of all hotel rooms. “We will take a look at how they are insecure by design and release a number of critical, unpatchable vulnerabilities,” the description claims. Other sessions will describe ways to break into systems as diverse as smart meters, intrusion detection systems and cellular microcells. Three talks will detail security problems in Apple’s iOS, two will talk about vulnerabilities in Windows 8, which will not generally be available until October, and one will describe the top ten hacks for HTML 5.